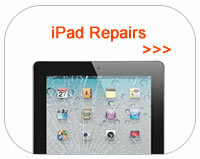 We offer a while-u-wait iPad screen repair service on call out across the capital 7 days a week. Don't want to wait days for your iPad repair? Our Technicians are mobile and can be with you within 1 hour in London, Essex, or Kent! Premier high quality express iPad 2, iPad 3, iPad 4, screen repair services across the capital 7 days a week. We also now cover the iPad Mini and all new iPad Air. 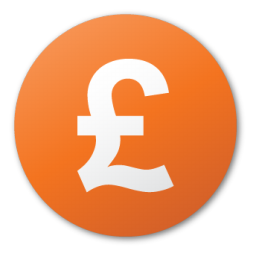 iFixExpress do not charge any call out fees for mobile repairs across London, Essex, and Kent. Walk-in same day iPad, iPad Mini, iPad Air express repair service available at our Central London & Dartford Workshops daily. Pick up anywhere in the UK the very same day and returned in 24 hours. Same day iPad repair service across London by iFixExpress certified technicians now covers the iPad Mini & iPad Air. iFixExpress is London’s premier alternative iPad repair service. We are able to repair a wide range of problems with the Apple iPad, iPad 2,iPad 3, iPad 4 and the all new iPad Air, iPad Pro, and iPad Mini with Retina display. Our service is the fastest in London, Essex, and Kent and we aim to have one of our iFixExpress ® Certified Technicians with you the very same day. Should you iPad or iPad Mini become broken we understand the frustration of arranging repairs, waiting days for an appointment. 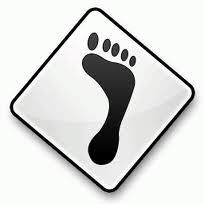 We understand how important you iPad is to your day to day life. Thats why we offer the fastest service throughout the capital 7 days a week. We believe our iPad Repair London service is the fastest, most reliable service out there. Everything we do is express. From iPad screen repair, to water/liquid damage dry out service. Our Technicians are professional, highly trained, and most importantly mobile, meaning they can come to you and repair your Apple product in the comfort of your home, hotel room, or even place of business. One call is all it takes and we come have someone with you repairing your iPad within the hour (appointment slots permitting). 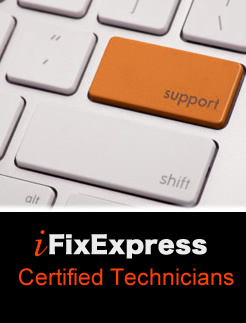 iFixExpress is committed to providing prompt repair and support solutions on a daily basis. We keep a large back stock of iPad parts to hand, which means theres no waiting around for parts for that all important repair, we can provide solutions while-u-wait and at a fraction of the cost of most repair companies. So if its our mobile repair unit, our mail in express courier service, or evan our walk-in service, you can be sure of a professional express iPad repair experience. We are like a Private Health Company for your iPad, iPad Mini, iPad Air, and new iPad Pro Same day repairs, professional trained technicians, a fast fix in the comfort of your own surroundings. 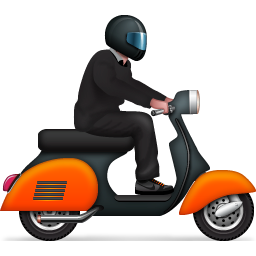 Thats the iFixExpress moto. Our team is on call daily and in many areas up till 9pm. We believe we offer the highest quality service for iPad repair London. Why not put us to the test today and give are team a call right away. The most common iPad repair is is the glass screen replacement service. If you have accidentally dropped or damaged your iPad screen fear not. Its a very common repair and we repair 100’s a month. We can repair a damaged iPad screen within one hour making it look like new again. So if you are in need of a quality repair from a company that is reliable and offer a full money back guarantee on there workmanship and parts, contact us today for iPad repair London. Mobile Service Areas For iPad Repair : East Finchley N2, Finchley N3, Islington N1, Finsbury Park N4, Highbury N5, Highgate N6, Holloway N7, Crouch End N8, Edmonton N9, Muswell Hill N10, New Southgate N11, North Finchley N12, Palmers Green N13, Southgate N14, South Tottenham N15, Stamford Hill N16, Tottenham N17, Edmonton N18, Archway N19, Totteridge N20, Winchmore Hill N21, Wood Green N20, Camden NW1, Cricklewood NW2, Hampstead NW3, Hendon NW4, Kentish Town NW5, West Hampstead NW6, Colindale NW9, Willesden NW10, Golders Green NW11, Whitechapel E1, Shoreditch E2, Bow E3, Chingford E4, Clapton E5, East Ham E6, Stratford E7, Hackney E8, Leyton E10, Leytonstone E11, Ilford E12, Plaistow E15, Docklands E16, Walthamstow E17, South Woodford E18, Stratford E20, Manor Park E12, Whitechapel/Stepney E1, Forest Gate E7, Homerton E9, Plaistow E13, Bethnal Green E2, Isle Of Dogs E14, North Woolwich E16, Waterloo SE1, Enfield EN1, Barnet EN5, Brent Cross NW4, Blackheath SE3, Camberwell SE15, Charlton SE7, Eltham SE9, Kensington SE11, Lewisham SE13, Peckham SE15, Walworth SE17, Crystal Palace SE19, Dulwich SE21, Forest Hill SE23, South Norwood SE25, West Norwood SE27, Thamesmead SE2, Brockley SE4, Catford SE6, Deptford SE8, Greenwich SE10, Lee SE12, New Cross SE14, Rotherhithe SE16, Woolwich SE18, Anerley/Penge SE20, East Dulwich SE22, Herne Hill SE24, Syndenham SE26, Pimlico/Belgravia SW1, Chelsea SW3, Earl’s Court SW5, Knightsbridge, South Kensington SW7, Stockwell, Brixton SW9, Battersea SW11, Barnes SW13, Putney SW15, Bluewater DA9, Lakside RM20, Tooting SW17, Wimbledon SW19, Brixton SW2, Clapham SW4, Fulham SW6, South Lambeth SW8, West Chelsea SW10, Balham SW12, Mortlake/East Sheen SW14, Streatham SW16, Wandsworth SW18, Raynes Park SW20, Mayfair, Marylebone, Soho W1, Acton W3, Ealing W5, Hanwell W7, Maida Vale, Warwick Avenue W9, Notting Hill, Holland Park W11, West Ealing W13, Bayswater W2, Chiswick W4, Hammersmith W6, Kensington W8, Ladbroke Grove, North Kensington W10, Shepherd’s Bush W12, West Kensington W14, Hornsey N8 , Kilburn NW6, Mill Hill NW7, St John’s Wood NW8, The Hyde NW9, Bromley BR1, Croydon CR0, Bexley DA5, Bexleyheath DA6, Ilford IG1, Gants Hill IG2, Seven Kings IG3, Redbridge IG4, Clayhall IG5, Barkingside IG6, Chigwell IG7, Woodford Green IG8, Loughton IG10, Barking IG11, Wembley HA0, Harrow HA1, Wealdstone HA3, Ruislip HA4, Pinner HA5, Northwood HA6, Stanmore HA7, Edgware HA8, Romford RM1, Chadwell Heath RM6, Rush Green RM7, Becontree Heath RM8, Dagenham RM10, Hornchurch RM11, Elm Park RM12, Rainham RM13, Upminster RM14, Grays RM17, Tilbury RM18, West Thurrock RM20, and Purfleet RM19. For the highest quality repairs via our on site mobile repair unit at any of the above locations in north, south, west, and east London, Essex, or Kent get in touch today. We could have a Technician with you within the hour. We only use the highest quality parts and all our work is coved under a 90 day warranty. So if you are looking for value for money, a fast turn around, and a reliable trustworthy service, the look no further for the best iPad Repair London service. Call now on 0845 8340933 Extension 23 (local call rate) for our support team.